As a recruiter, a lot of my time is spent thinking about how I can connect people. Engaging with talent is not just about filling an open req. Recruiting is not a job that stops when I close my laptop at 5:00pm. Connecting with great people stems far beyond clicking on a LinkedIn profile. I am fortunate to work for a company like Salsify where there is a deep sincerity around maintaining our corporate culture as a people centric organization. Building our company in Boston is an incredible opportunity for us to take advantage of the rich tech landscape and of course the people that inhabit this city. And how exactly do we do this? It all comes down to community. 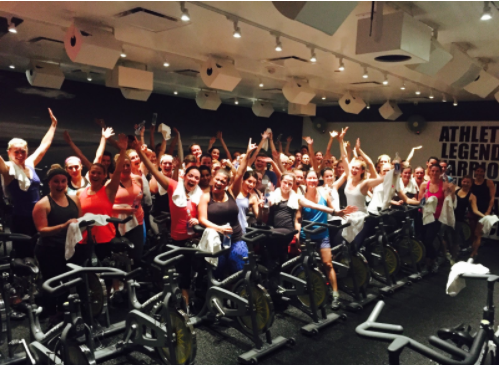 Last week, Salsify hosted our second annual Women in Tech SoulCycle ride. SoulCycle is a high-energy indoor cycling class with the philosophy of allowing riders to sweat it out together while working towards the finish line as a pack. When we immerse ourselves in the community, our actions should have relevancy to our values as a company. 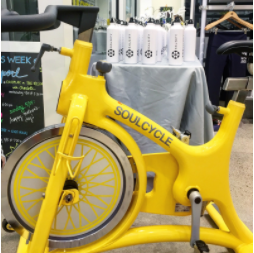 I chose SoulCycle as way to meld one of our core values with an experience that would allow attendees to feel what I feel everyday - empowerment. Empowerment is one of Salsify’s key values as a company and SoulCycle incorporates this into their rides by focusing on bringing out the strength in every rider, no matter if it is their first ride or their hundredth. We chose “Women in Tech” as our target audience because as a company we have made the proactive choice to acknowledge a serious problem in our industry. Continuing to foster a diverse workforce is a key initiative at Salsify. Outside of our latest event, Salsify has committed to a quarterly STEM education program with Boston Public schools and we have sponsored numerous events for organizations such as She Geeks Out Event, Lesbians Who Tech, and have an upcoming partnership with Girls Who Code. I dread the vapid networking event filled with a room of awkward mingling and forced conversation. There are dozens of monthly networking events focused around “cocktails and conversations” or “professional networking.” But how do you actually create conversation that isn’t forced? When planning an event, I like to think about an environment that will create organic conversation and truly allow attendees to make connections that will continue outside of the venue. In lieu of after work cocktails, we started our evening at by CHLOE with a “Healthy Happy Hour.” Our attendees sipped on pressed juices while getting to know the other women before heading over to SoulCycle to partake in a cycling journey. To me, an event like SoulCycle allowed a group of ladies to come together with a sense of purpose to accomplish a goal while having fun. It was also an opportunity to gather 60 professionals from some of Boston’s best tech companies to share best practices and learn from one another. A frequent question I have been asked is how to measure the success of an event. From a recruiting perspective the obvious answer is to track how many hires convert from the event. Unfortunately, hiring is usually not that linear and it is a rarity to see such an immediate conversion. In my opinion, a successful event lingers. It continues to create buzz or provoke thought. However, this can be incredibly difficult to quantify. Harping on immediate ROI can defeat the purpose of the long term goal (building a presence in the community). I would suggest reflecting on the event and sitting down with your team to discuss what went well and what could be improved for future events. Timely follow-up, with the attendees you have identified as interesting prospects, is also a great way to continue to foster the relationship. We have also sent surveys in the past to gather feedback from attendees. Events are both a time and monetary investment and thinking about ways to measure success outside of conversion to hire is critical. To me, this can be as simple as hearing someone mention ‘that awesome SoulCycle ride Salsify hosted 6 months ago’ (to my earlier point, this proves the event is still lingering). If you or your company is interested in partnering with Salsify on an event let's start the conversation.